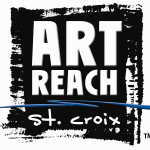 ArtReach St. Croix powers a variety of programs and events that connect communities to the arts in the lower St. Croix Valley. StCroixSplash.org is your go to event calendar for art, culture and nature events in the lower St. Croix Valley including the towns of Stillwater, Hudson, St. Croix Falls, Taylors Falls, Somerset, New Richmond, Shafer, Scandia, Marine on St. Croix, River Falls, Afton, Prescott and Hastings. ArtReach’s blue house on North 4th Street in Stillwater is home to the St. Croix Galleries featuring a rotating gallery exhibition program highlighting artists for the St. Croix Valley and beyond. Each exhibit features multiple artists and typically runs six weeks. Each September, arts and nature come alive in the St. Croix Valley just at the peak of fall colors. Art fairs, music festivals and open artist studios make this one of the best times to explore our dozens of river towns. During Take Me to the River, a one-of-a-kind “festival of festivals,” ArtReach works with a dozen partner organizations to encourage everyone to explore art at every bend in the river. The Big Read in the St. Croix Valley is a multi-disciplenary one book one community program presented by ArtReach St. Croix in conjunction with core program partners throughout the lower St. Croix Valley. A month of book discussions, theater performances, film screenings, nature hikes and art exhibitions. Get ready for spring and support the arts at the Annual ArtReach St. Croix Birdhouse Auction. Each year, 50 birdhouses are created by local artists and auctioned off at a fun, friendly event!